Tortola hosts a few Caribbean festivals you should definitely try to attend. I want to give you a run down of some of my favorites. These festivals are a great way to enjoy the Virgin Island's people and culture. I like attending these events because they are a great change of pace from some of the more entrenched tourist attractions. This is the one of the most popular Caribbean festivals. The Spring Regatta is seven days of non-stop yacht racing during the day, with some serious partying being done at night. The Regatta's held at Nanny Cay, the favorite marina of many a local sailor. The Spring Regatta is held being held March 30th - April 5th this year. 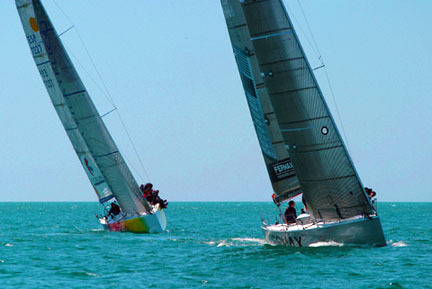 The regatta has something for everyone, so don't think it's just a collection of yacht races. They have snorkeling, windsurfing, limbo contests, and even a cookout. The regatta is a great way to start limin' your week away. The regatta really is one of my favorite festivals to attend. I take a look at my schedule every year, just to see if I can squeeze it into my next trip. The Musicfest is one of the newer Caribbean festivals. This coming May will be its 8th year, and this is just a fantastic event. Musicfest is held in Cane Garden Bay, and includes a wide variety of food, refreshments, contests, and of course music. This includes reggae, rap, rock, fungi, blues, jazz, and just about anything else you can think of. The festival features both local and international acts. 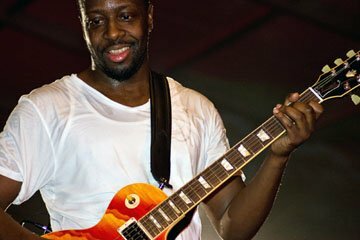 A few years ago I got to see Wyclef Jean, I think he's a tremendously talented musician. If you do want to come to the festival please get a cab or rent a boat, because parking is always an issue. This is more of an event than a festival. In fact there are multiple full moon parties. The more famous of the two is the full moon party at Bomba's Shack. The second resides at Trellis Bay. The major difference between the two is that Trellis Bay's is family friendly. Bomba's Shack is more of an adults only environment. They are both quite a bit of fun. Make sure to look and see if the moon is full, and make your way to the party.